Initiative in Greece had a successful evening at the Ermis Awards 2016, one of the most prestigious awards of the year in the country. Amita Motion, launched by Coca-Cola in Greece in 1993, is a vitamin fruit juice that sponsors Positive Energy Day, a free live music event that features well known musicians and special activities held in Athens. It has become an annual event attracting over 70,000 young adults each year. Elsewhere fellow IPG Mediabrands’ agency, UM, picked up a Silver trophy for Best Use of Media/TV for their News in Education campaign with Deree-The American College of Greece and a Bronze for Best Usage of Multiple Media for their Without License to shoot campaign for the film Spectre with Feel Good Entertainment. 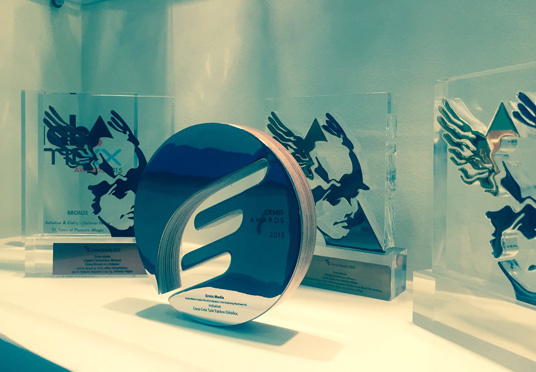 The Ermis Awards are the only institution in Greece that awards creativity in communication and are organized by the Greek Association of Advertising & Communications. The awards highlight the most creative advertising and use of media, communication, film production, events, digital work and direct marketing.